Review: Grand Hotel ( Gran Hotel ) is a sweeping, glorious, soap opera of a tale from Spain. It’s set in 1905 in a palatial hotel owned by the Alarcón family and populated with hotel owners, guests, and workers. This review will cover season 1 – maybe. Moving the series from Spain to Netflix in the US jiggered with the episodes a bit. Episodes were started and stopped in places that might not have been the way they played in Spain. There are about 40 episodes, 9 of which aired in 2011 as season 1. But Netflix thinks season 1 took 14 episodes, because of how they decided to arrange them for running time. The number of episodes per season isn’t really important, because once you start watching Grand Hotel ( Gran Hotel ), you’re likely to be hooked until the end. It’s a compelling brew of love, lies, blackmail, jealousy, murder, crime, comedy, backstabbing, loyalty, bravery, greed, and coverups. There are pregnant women who want no one to know, and not pregnant women who pretend to be. There are affairs and broken hearts. It’s a big, busy story. Adriana Ozores stars at Doña Teresa, the Alarcón family matriarch, and the owner of the hotel. She maintains control over her empire by any means necessary. Doña Teresa isn’t the first powerful female character in a Spanish drama who has had to work her way through the patriarchy in devious ways. But she’s exceedingly good at it. Julio Olmedo (the ridiculously handsome Yon González) takes us into the story when he arrives at the Grand Hotel looking for his sister. She was a maid there. He suspects that she was murdered and gets himself a job at the hotel as a waiter so he can investigate. Julio immediately notices Alicia Alarcón (the ridiculously beautiful Amaia Salamanca). Alicia is the daughter of Doña Teresa and above Julio’s class. Naturally they fall in love, even though she just got engaged to the hotel manager Diego (Pedro Alonso). She fully intends to marry him. For the family. Alicia believes Julio’s story about his sister and joins in his plots and schemes to find out what happened. This often puts her at cross purposes with her family. I made light of them for being so gorgeous, but both are wonderful actors. Every one of the actors in this drama was well chosen and perfect in their parts. It’s a large, terrific cast. Amaia Salamanca is especially effective. There’s a bit of an Upstairs, Downstairs or Downton Abbey vibe to Grand Hotel ( Gran Hotel ). Each set of characters have their own subplots, but they often intersect each other. Ángela Salinas (Concha Velasco) rules the maids below the stairs. She’s 100% loyal to the Alarcón family except when their interests interfere with her interests. Benjamin (Manuel de Blas) supervises the waiters. Ángela’s son, Andrés (Llorenç González) is a waiter at the hotel. The new waiter Julio is assigned to be his roommate in the servants quarters. Julio recruits Andrés’ help almost as quickly as he did Alicia. Julio gets Andrés into many a scrape as he investigates his sister’s case. This cast really is a multitude. Here are a few important characters I haven’t mentioned yet. In addition to Alicia, there are two other Alarcón children. Sofía Alarcón (Luz Valdenebro) is married to Spanish royalty. Her husband Afredo’s (Fele Martínez) title is meant to help attract visitors to the hotel. Sofía is upset because Alfredo wasn’t named manager, as she thinks he should have been. The dissolute wastrel of a son Javier (Eloy Azorín) merely wants to drink, gamble and seduce the maids and guests. He causes quite a lot of trouble. Why is there always a dissolute wastrel of a son? Police Inspector Ayala (Pep Anton Muñoz) is often at the hotel. There’s so much to investigate. Missing maids. Women stabbed with gold carving knives from the hotel. Stolen money. He’s an intelligent, intuitive Holmesian inspector who finds all the right clues. He also trusts Julio’s story and he and Julio are often in cahoots about various cases. Julio can charm anyone! Even the cops. With such a beautiful setting and cinematography that takes every advantage of it, Grand Hotel ( Gran Hotel ) is wonderful to look at. The period costumes are authentic looking. The cobblestone streets of the nearby village suit the mood exactly. 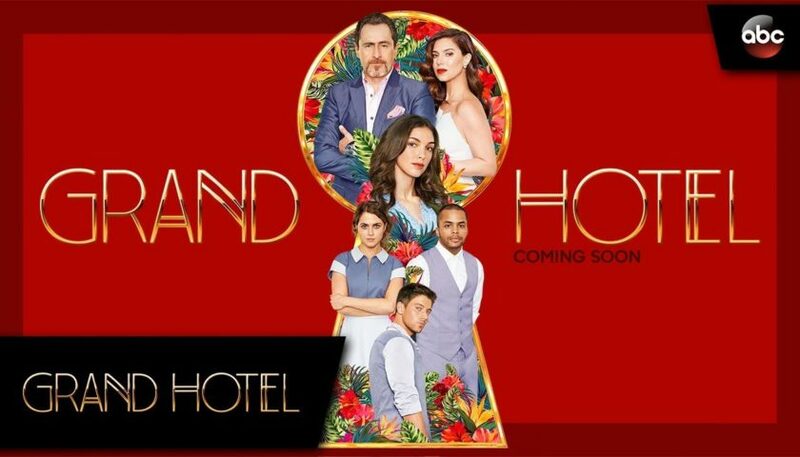 Granted, Grand Hotel ( Gran Hotel ) is a soap opera – more correctly, a telenovela – with all the implausible plot lines and twists that come with that kind of story telling. Watch the first couple of episodes. If you don’t find them compelling enough to keep watching, you’ll know right away. As for me, I was hooked immediately. The show was very popular in Spain and spread around the world quickly. Mexico and Egypt have both developed their own versions of the series. You’ll find Grand Hotel ( Gran Hotel ) on Netflix in the US.